With Google now venturing into the oh so Vanilla Sky business of life extension via Calico, it seemed like a good time to explore the age old dream of immortality. It seems that while we humans have struggled in vain to attain the seemingly impossible goal of biological immortality, other creatures make it look quite easy. Of course when scientists speak of "biological immortality", they mean organisms that do not experience the cellular senescence associated with aging, and so their mortality rate doesn't increase after maturity. Most of the organisms on this list could still be easily dispatched by any number of means, including the ever popular pot of boiling water. It's also prudent to mention that while they might not show the classic signs of aging, scientists are not quick to call anything immortal without a lot of research, hence the "potentially" in the title of this post. The odd looking creature above is a hydra, a type of cnidarian, which happens to be the same phylum as jellyfish. Some members of this group, like Hydra vulgaris are an ideal example of an organism which appears to not age, as their cells renew themselves indefinitely. Furthermore since their cells are constantly dividing, defects do not have a chance to accumulate. This has made them the subject of intense interest within the scientific community since they would seem to support the idea that such types of non aging life forms exist in general. If you've ever felt a bit of regret after a particularly good surf 'n' turf dinner, prepare to feel even worse in knowing that the lobster whom contributed to your culinary bliss could have lived to well over 100 years if left unmolested. The simple fact is that these objects of our desire show none of the classic signs of aging from one season to the next. On top of that older lobsters are actually more fertile than their younger counterparts. Researchers suspect their longevity might have something to do with the fact that they continue to produce the enzyme telomerase throughout their lives. Most creatures, including humans, however don't continue to express telomerase as adults, meaning our cells will reproduce a set number of times before dying. 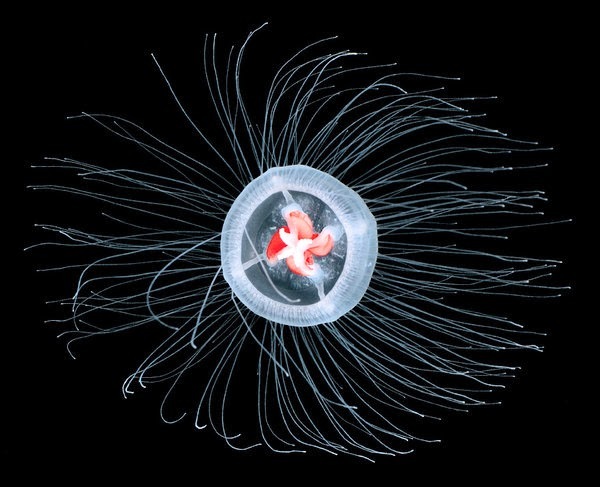 The second cnidarian on our list, Turritopsis dohrnii, is known as the immortal jellyfish and with good reason. 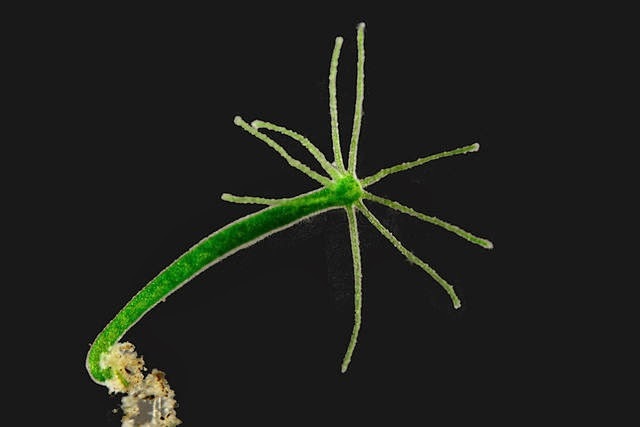 At less than 5 millimeters, this invertebrate was largely overlooked until the late 80's when a German marine biology student named Christian Sommer noticed some odd behavior from specimens he kept in petri dishes. Instead of eventually dying, it seemed as though they were reverting to an earlier stage of development, and then beginning their life cycle all over. Although Sommer didn't understand the importance of what he was observing, years later another group of biologists fascinated by his findings, were able to expand on the process in a paper titled "Reversing the Life Cycle." Basically while in the medusae stage, Turritopsis dohrnii can transform into polyps, which is an earlier form of it's life cycle. It can perform this repeatedly, making it biologically immortal. It probably seems like every few years there's a story on the news about some tortoise finally passing away after living an unusually long life. Was this just a case of one uniquely robust animal, receiving an unusually high level of care over many decades? Based on research from scientists like Justin Congdon, it would seem not. 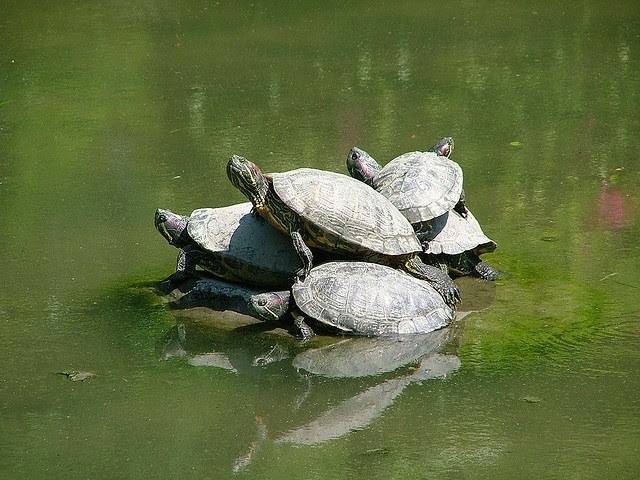 His work with freshwater turtles at the Edwin S. George Reserve in Michigan, while not glamorous, indicates that these reptiles do not show signs of aging. In fact much like the lobster, they are more fertile, with females producing more eggs. They are also no more vulnerable to disease than the younger animals. According to Congdon the usual cause of death among his turtles are car strikes, animal attacks or infectious disease which affects all animals, at all ages, in equal proportion. Arctica islandica is a marine bivalve mollusk with the rare distinction of longest living non-colonial animal at over 400 years old. 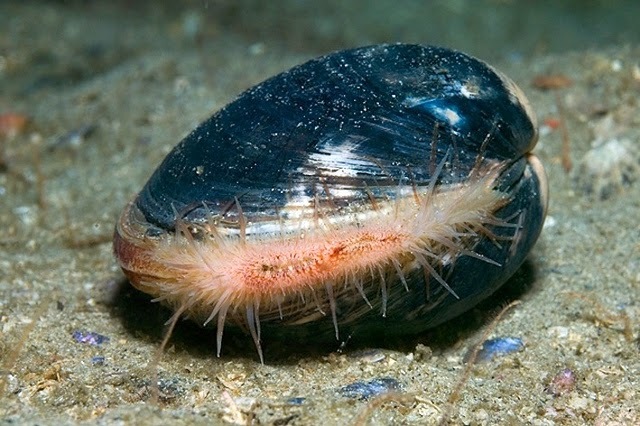 Actually the oldest recorded quahog clam, affectionately named "Ming", was 507 years old and ironically, could have lived longer had it not been collected by researchers doing age related research. This clam, which is also edible, has generated enough interest to make it a model organism in age related research. Researchers believe their longevity is a result of their resistance to lipid peroxidation, a process caused by the normal metabolism of oxygen within our body which over time causes cell damage. The one thing we can learn from these creatures is that senescence is not some inevitable thing that all life experiences. So why isn't there tons of research on hand detailing the immortality of turtles? One reason is that most age related research was largely done on short lived creatures like flies, mice and worms. Scientists can compile tons of data and complete their study within a few years. Simply put, why spend a lifetime learning about the effects of aging from a tortoise when you can spend a few months working with flies. The end result has been the general belief that all animals are born, reach maturity, and then begin the slow physical decline culminating in death. Rocky the 27-pound lobster says "no." Do lobsters hold the key to eternal life? Understanding the lives of these animals will teach us lots of lessons. Thanks for sharing. Relax! - I can stop aging and make everybody Immortal right away - I got the key to our Biological Immortality - By staying absolutely healthy all the time - By doing my discovery (just an exercise for a minute a day) - My WVCD - The Weapon of Virus and Cancer Destruction, that cures and prevents any diseases, known on Earth for millions of years, even radiation disease (The Van Allen radiation belts already cannot stop us from reaching for the stars) - I will describe my WVCD to everyone, who send me a check for one million bucks - Everybody will stay absolutely healthy all the time, living their Endless Lives, for Infinite Health = Immortality.